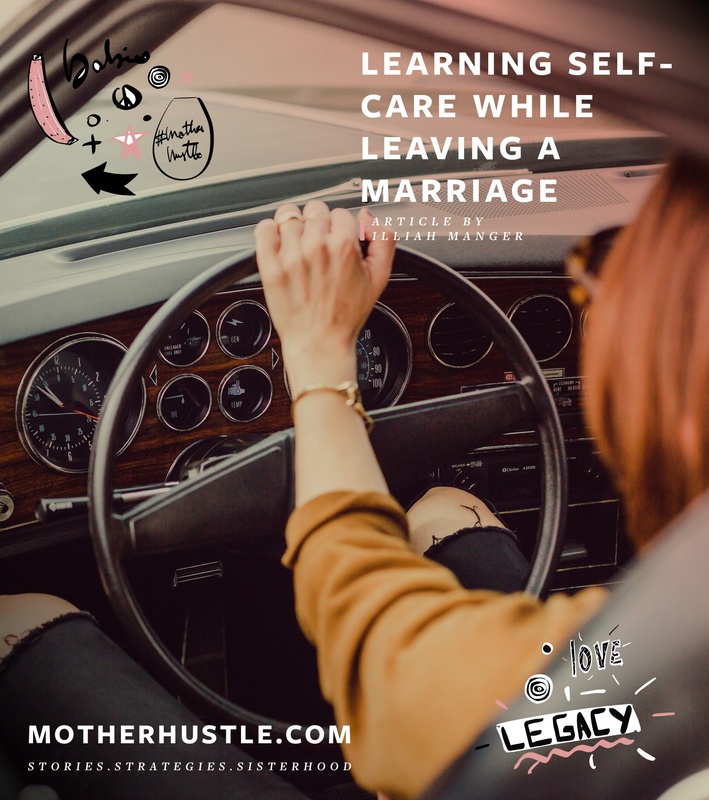 I often hear that I have it together, that I’m an easygoing mom, that I’m laid back. I like to believe those things about myself. 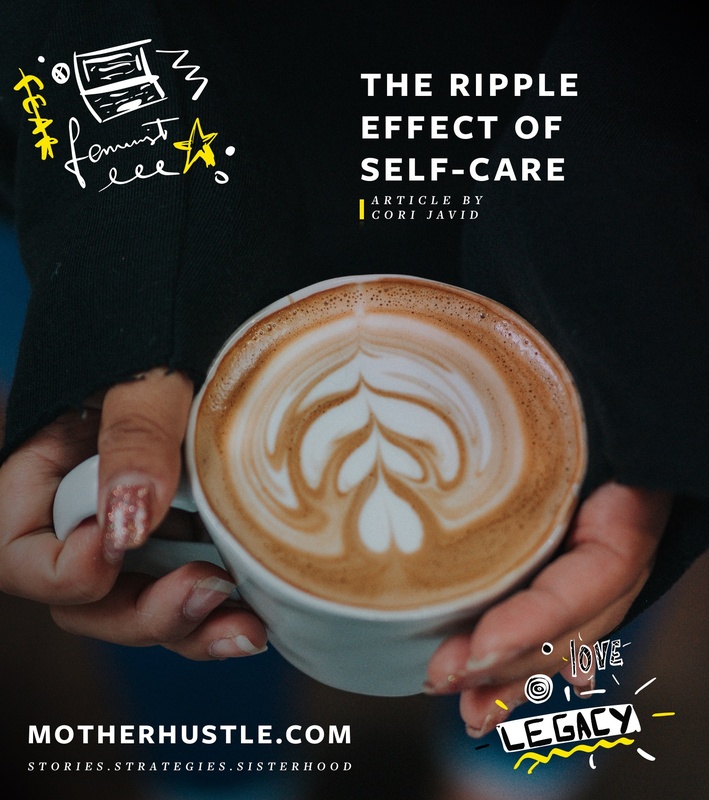 But while I may be a natural optimist, staying “laid back” in motherhood is work. Enjoyable work. But nonetheless, effort required. So what helps me? Meditation. I know. That can be a really daunting word. It comes with connotations of silent monks, enlightenment, waking at dawn, adding another thing to your ever-expanding to-do list. There are a million excuses not to try it: I don’t have time, it seems hard, I can’t clear my mind for even 30 seconds, it’s so trendy right now, I need to work up to that, I’m not mentally fit enough to do meditation, general eye roll. I hear you. I’ve had an entire lifetime of dueling feelings about the M word. My mom has made daily meditation part of her life for as long as I’ve been aware. Growing up, she would set the egg timer, go into the living room, and we weren’t to disturb her until the timer went off. It would seem like she’d be in there for aaaaggggessss. What was she doing? Just sitting there! WTF. My little sister and I had things to DO! She tried to guide us into a meditation once or twice, but we said, “this is boring” and got up. We definitely did NOT get it. Fast forward 25 years and here I am following in her footsteps, trying to meditate every day. Just another way in which I’m turning into my mother: a sentence I say at least twice a week. My baby is 6 months old and I’m working from home as an artist. Maybe it seems to the outside world that we are an easygoing duo, but inside my head and my apartment, I am unshowered, bra-less, spit-up covered and anxious that he’s not napping, napping too long, not pooping, and has a diaper rash that just won’t quit. I’m living in 30-minute increments. Working in snippets. Even rest-time is never laissez-faire. We’re planned. We’re scheduled. We’re tethered to the house and the couch. And he’s in the totally distracted phase, so it’s difficult to watch TV or listen to a podcast or audiobook because he needs to focus on eating or needs my attention when playing. And don’t get me wrong: I love each individual moment. I truly don’t care if he poops through three diapers and a onesie. C’est la vie. I’m giving myself permission and grace to do what I can work-wise without obsessing on what I’m not doing. But it’s when I think about my life as a whole, my day-after-day routine, that I become completely overwhelmed. It’s like Groundhog Day. I feel like I can’t breathe, like I’m trapped. And then I come back to meditation. These days, I prioritize meditation during baby’s first nap of the day. It can be 10 minutes or 40 minutes. It’s something just for me in an endless stream of giving, giving, giving. Giving my time. Giving my attention. Giving my emotion. Giving my body. 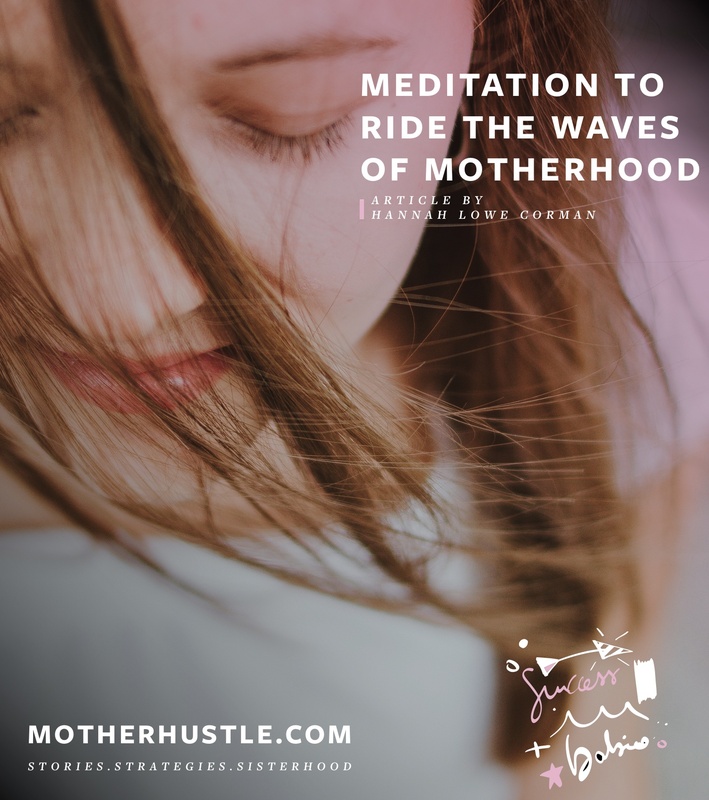 I find that when I include meditation in my daily practice, I feel less overwhelmed and that I can handle whatever the day may bring, as a mom and also as a human being. Meditation doesn’t have to take long. It can be 5 minutes. It can be walking, being present, sitting in silence, listening, breathing. Meditation doesn’t mean you are devoid of thoughts; the thoughts can be laser focused. Meditation is a practice. You start again and again. You restart in every breath. It is impossible to fail. I look forward to the stillness and quiet of meditation. On the days I meditate, little things don’t set me off. So what if the laundry pile is growing by the minute? On the days I meditate, I’m slower to anger, slower to get anxious, slower to get annoyed. On the days I meditate, my highs aren’t as high and my lows aren’t so low. The people and relationships that cause me the most anxiety don’t cause me as much anxiety. I am calmer and more even-keeled in my interactions. I am able to take a beat, pause, breathe, see sticky situations from a detached, objective point of view. I can ride the wave of the day and whatever is thrown at me doesn’t seem like the end of the world. And on the days I meditate, time is added to my day. (?!) Mom was right. Obviously. I mean, clearly time cannot be extended, but it can FEEL extended. Less hurried. Less oppressive. Looser. The reins of the clock don’t strangle me quite as badly. Time seems lighter. And I’m float-ier. I’m easier. I’m calmer and more relaxed with my son. Pet peeves in the outside world don’t trigger me. I’m able to breathe deeper and without the tightness in my chest and throat. My son and I just take our day minute by minute, and the Groundhog Day nature of our lives doesn’t weigh on me as heavily. Now I know what my mom must’ve been feeling day in and day out when she set that egg timer. BONUS! 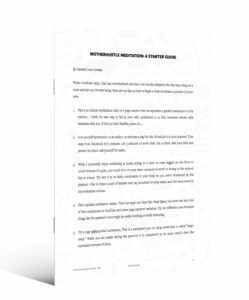 Get your FREE MotherHustle Meditation: Starter Guide and get Hannah’s tips on how to begin your daily meditation practice. Join now to access our free Members-Only Portal and download your copy! 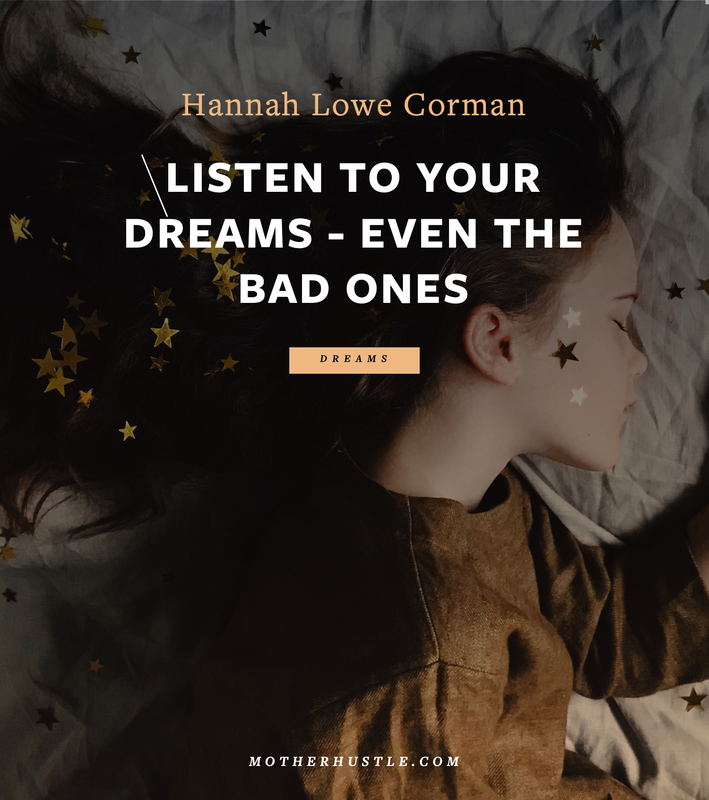 Hannah is a painter and yoga teacher inspired by nature, movement and meditation. She grew up in Maryland, lived in Paris after college, came back to Baltimore to work in healthcare and not-for-profit banking, and then moved to Ann Arbor, Michigan (where they knew zero people) for her husband’s job. In 2015, her husband’s job took them to NYC, which was truly a homecoming as it’s where her father grew up and where many close relatives still live. Her son is five months old (today! ), and she is working on figuring out this whole new mom/entrepreneur lifestyle, which is, honestly, overwhelming. 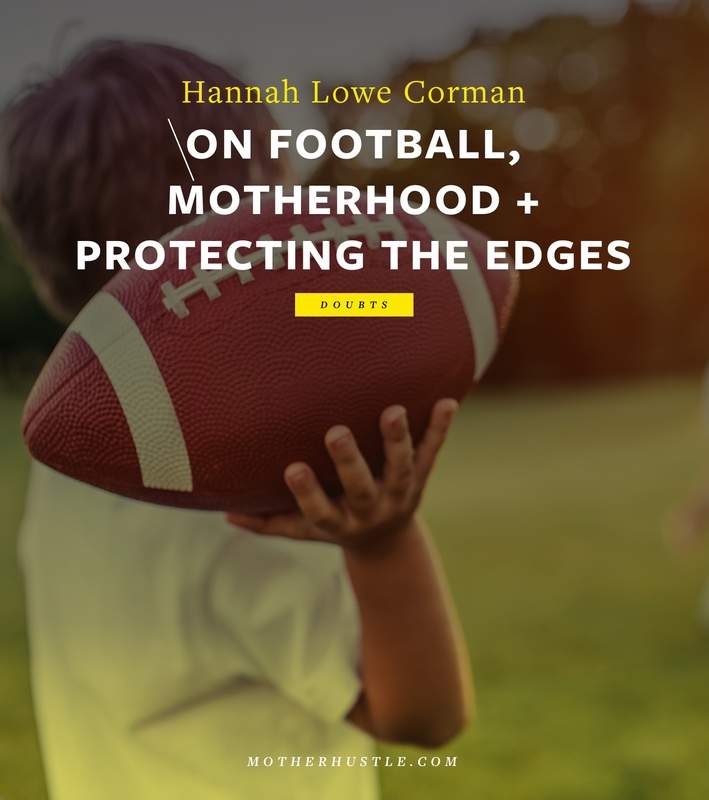 Follow her on Instagram at HannahLoweCorman and on Facebook at Hannah Lowe Corman. Make sure to contact her here if you are interested in being considered for her 2018 commissions.